Let’s be completely honest — I’m a broke millennial, and don’t have disposable income to splurge on expensive smartphones. But when Apple announced pricing for its new iPhone XS and XS Max, which both broke the $1,000 mark, I didn’t think much of it. Carrier payment plans tend to make every smartphone look less expensive, but then I did the math. The $750 price tag on the iPhone XR has other tech journalists referring to it as the “budget” option of the new iPhone X lineup, which could easily be misconstrued as translating to mediocre features. In reality, the XR offers a beautiful design, top-tier specs, and most importantly — isn’t all that different from its expensive companions. It’s also the iPhone I’m probably going to buy, and I’m not mad about it. Following last year’s Apple event in September, I preached that customers should splurge for the $1,000 iPhone X because the iPhone 8 and 8 Plus brought nothing new to the table. Apple simply recycled its old, outdated design to produce an iPhone with the exact same look and feel as its predecessors, aside from the new A11 processor. If you truly wanted something new, then the iPhone X would bring you that, making the price worth it. But the iPhone X was simply the forerunner for what we should expect from Apple for the next several years. Long gone are the days of the home button, thick bezels, and an easily identifiable iPhone. The X brought along a ton of new features that distinguished it from previous iPhones — a notch, TrueDepth camera technology, and edge-to-edge display, to name a few. It made sense to splurge a little, because you were getting an entirely new product that’s different from anything Apple has ever made. But this time around, we’ve been provided with three new versions of that design, which means you’re allowed to be picky about what you choose. Just because the iPhone XR is the cheaper option, doesn’t mean it’s a budget phone. A true “budget” phone brings low-level specs and major compromises. More often than not, it also looks and feels cheap. 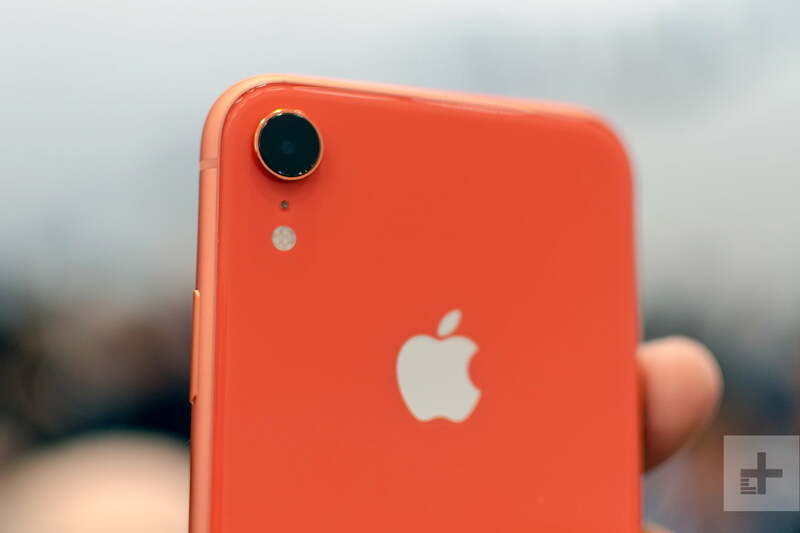 At first glance, the only thing that distinguishes the iPhone XR from the iPhone XS is that it has a single lens instead of a dual lens camera. Let’s talk about that camera for a moment. Sure, two lenses are better than one but the camera on the XR is still powerful. At the same 12-megapixels as the iPhone XS and XS Max, it not only has a new sensor since last year’s iPhones but also includes Portrait Mode (thanks to machine learning) and Smart HDR. While the quality of my portraits might not be as strong as it would be with a dual-camera system, it’ll get the job done. I’m also not buying an iPhone specifically for its camera and if I was, I’d probably go with an Android instead. With a 7-megapixel TrueDepth front camera, you can also take Portrait Mode selfies, use Face ID to unlock your iPhone, and create Animojis with iOS 12 — all of which are also on the iPhone XS and XS Max. The TrueDepth technology was a huge deal on the iPhone X, giving it the ability to do more than any other iPhone ever made. But with no home button, Apple had no choice but to give its cheaper iPhone variant the same complex, sensor-packed, front-facing camera module as its more expensive siblings. The iPhone XR also has a bigger display than the iPhone XS, coming in at 6.1-inches in comparison to the 5.8-inch on the XS. While it doesn’t have the Super Retina OLED display, it features Apple’s new Liquid Retina HD Display which, as covered in the hands-on by our mobile editor, looks sharp and well saturated. Just by looking at the photos, it’s easy to tell the colors pop. One other factor of the iPhone XR that might automatically label it as a “budget” phone is the array of colors it comes in. The last iPhone to have the same bright color options was the iPhone 5C, which could be considered as Apple’s true budget phone. Released in 2013, it cost $550 and featured an A6 chip that was released a year prior, an 8-megapixel rear-camera, and a 1.2-megapixel front-facing camera. Not only has it been discontinued, but it also ended operating system updates with iOS 11. The XR is a very different proposition. Under the hood of the iPhone XR is Apple’s new A12 Bionic chip, that also powers the iPhone XS and XS Max. With a “next-generation Neural Engine,” it not only includes 8 cores but can process 5 trillion operations per second. What that basically means is, the iPhone XR is as powerful as Apple’s iPhones currently get — all for a lot less than $1,000. What more can you ask for? It’s probably the most powerful $750 phone on the planet right now. I held out on purchasing the iPhone X because I’m used to the large, physical size of the iPhone 7 Plus — knowing full well they’d most likely come out with an iPhone X Plus the following year. That’s why I first had my eye on the iPhone XS Max, but at $1,100, I think a slightly bigger display than what I’m used to will do just fine. With a $350 difference between the two phones, I’m willing to sacrifice the size. Even paying monthly, the 256GB iPhone XR will cost $47, while the XS is $56 and the XS Max is $60. There simply isn’t enough difference to justify that extra expense. With carrier pricing now officially out for the iPhone XS and XS Max, monthly payments over the course of 18 to 24 months may look low but that’s only because both phones require large down payments — and not everyone has hundreds of dollars to shell out up front. If you want to take advantage of the carrier deals, almost all of them require adding a new line which a majority of customers don’t have use for. With the new notch design also being the one Apple will most likely stick with for a while, you won’t need to buy a new iPhone for the next couple of years. 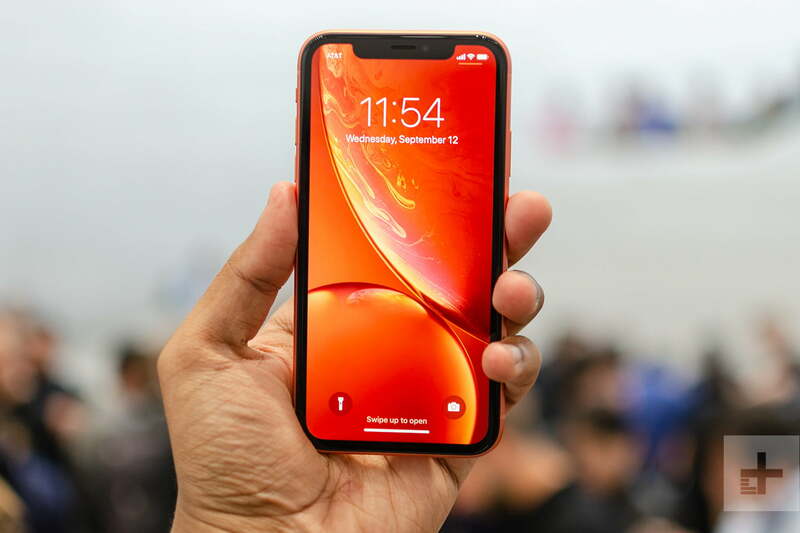 Even though the iPhone XR is cheaper, its cutting-edge specs offer real longevity. This iPhone will be fast enough to handle anything you can throw it at for the next couple of years and probably beyond. I don’t know about you, but I certainly don’t have $60 to spend on a phone every month, and that’s without counting the phone bill itself. Have I mentioned I’m a broke millennial? I think I’ll be just fine with my quirky-colored iPhone XR which everyone will probably mistake for an iPhone X or XS, anyways.